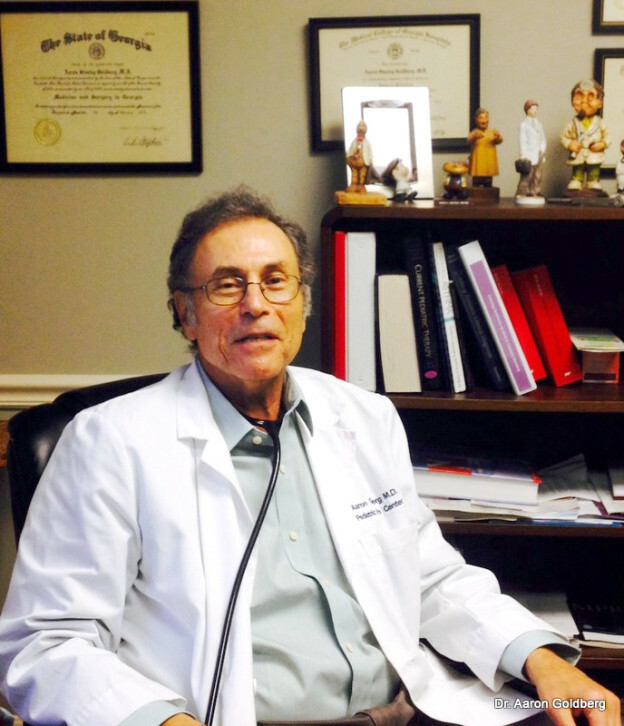 Dr. Goldberg was born in Savannah, Georgia, in 1947, and lived there until he attended college at Emory University in Atlanta, Georgia. He is married to the former Gladys Hires of Jesup, Georgia, and has four children, Michael, Louis, Sally and Stanley. He now has nine grandchildren: Abbi, Collin, Ethan, Mason, Emerson, Ruby, Max, Matilda, and Henry. The Family is a member of Temple Emanu-El of Sandy Springs, Georgia. All are active in their community, playing tennis, basketball, soccer and cheerleading. Dr. Goldberg is a fellow of the American Academy of Pediatrics (since 1979), a member of East Metro Medical Society, and a member of the Medical Association of Georgia. This entry was posted in Conyers Office, Dunwoody Office, Providers Conyers, Providers Dunwoody on February 9, 2015 by Katie Henry. Manage your child’s Health Care online in our Patient Portal!